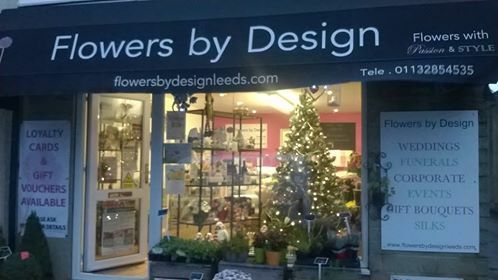 Flowers By Design - flowers for any occasion Flowers By Design supply bouquets and flower arrangements for any occasion both to corporate and private customers. We also supply wedding flowers with discount packages available. You can also hire for your special occasion a candy cart or for your wedding hire of a vintage post box or wishing well postbox.